The University of Miami has appointed Van Bailey as the inaugural director of the new LGBTQ Student Center, which opened this fall to cater to the needs of gay, lesbian, bisexual, transgender, queer and questioning students throughout the campus. The creation of the center fulfills a critical recommendation made by the LGBTQ Task Force, which was assembled back in 2013 in efforts to make gender-neutral restrooms and gender-inclusive housing on campus– among other initiatives – a reality. The same year the task force was created at UM, Bailey was serving as the inaugural director of Harvard College’s BGLTQ Student Life, evaluating the needs of student organizations while confronting LGBT community issues. For him, LGBT rights are more than just a hot-topic issue. Bailey said he confronted innumerable obstacles throughout his early life, from being at odds with his conservative family because of his gender identity and sexual orientation, to even being homeless at one point. One of the most important turning points in Bailey’s life, he said, came at age 14 when he transferred to a performing arts school with a dormitory, where he could freely express himself without the burden of familial pressure. Over the next few years, Bailey spent time building what is now a rather expansive resume, serving as president of the Black Student Union and a member of Student Government at Denison University in Ohio. He attended Ohio State University for graduate school, where he got his master’s degree in higher education and student affairs with a focus on student development. During his experience at California State University Northridge, Bailey started two living learning communities, groups of students placed together in a residence hall based on common major, interest or program affiliation. One community focused on people of color and the other focused on people who identify as LGBT. Later, he continued working directly with students as the director of the LGBT Resource Center at University of California San Diego, and then served at Harvard College. Many students have similarly expressed excitement upon the arrival of Bailey, including members of SpectrUM, the university’s largest undergraduate LGBT organization. 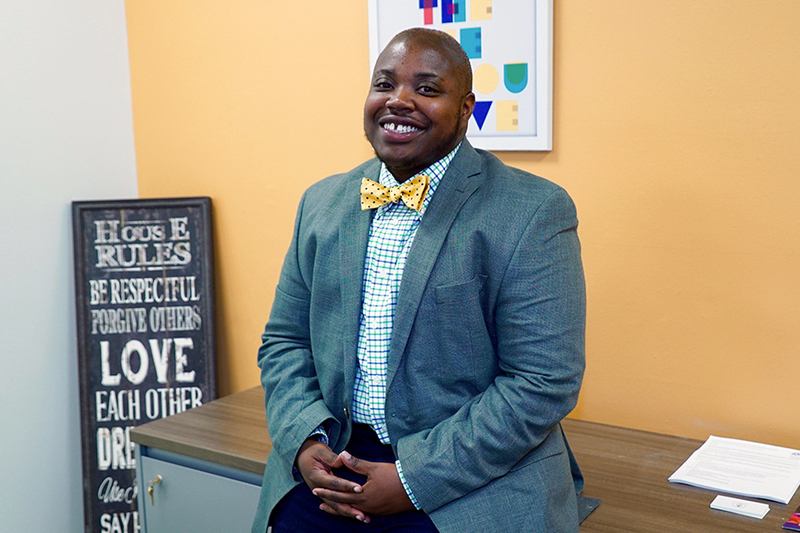 As the director of the center, Bailey said he sees himself as an educator, advocate and someone who is integral to the Division of Student Affairs. “I think that it’s important to be a role model in terms of resilience, demonstrating the possibilities for people that are a part of this community and what it means to be part of a community that’s trying to add value to our cultural belonging,” Bailey said. There will be an open house for the new LGBTQ Student Center from 10 a.m. to 12 p.m. on Thursday, August 25. The center is located on the second floor of the Whitten University Center. This story was updated August 26, 2016.